In this current era in which we have forces trying to tear our country apart based on race, skin color, ethnicity, etc., let us learn some lessons from the past. Our own ancestors were discriminated against and insulted by one of the most respected Founding Fathers, Benjamin Franklin. 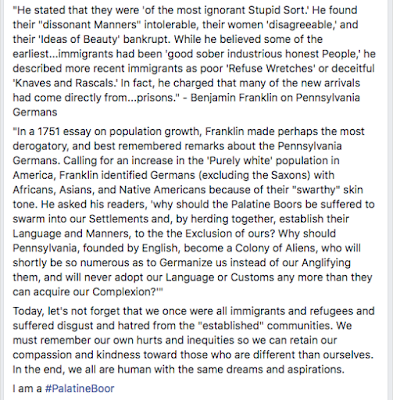 The Palatines were not white enough for Franklin. The sad thing is that the same rhetoric that Franklin used to insult our ancestors is being used now in Alt-Right marches in DC and Charlottesville. The primary difference is that the Alt-Right has expanded the definition of "white" to include the Deitsch descendants of the Palatines as well as the Irish, the Italians, and the Slavs, all of whom have been the targets of discrimination at earlier points in our history. While there are legitimate conversations to be had about legal vs. illegal immigration and a variety of topics within the social sphere, bigotry and racism are not to be tolerated. Our ancestors were the first refugees to these shores from a non-colonial land. The Deitsch were the first to protest slavery in the Americas. The settlers lived in general peace with the Lenape, and there is lore within Braucherei of exchanges of information about plant medicine. The Palatines - and the present-day identity of the Deitsch - have always had their own way of viewing and doing things even within the context of being leaders in the pursuit of the ideals that are spelled out in our Constitution. Our cultural expressions and practices continue to this day despite 20th century efforts to undermine them and to suppress them. Even while celebrating what makes us unique, let us embrace the wider diversity of this country with the recognition that we are all building toward those ideals. 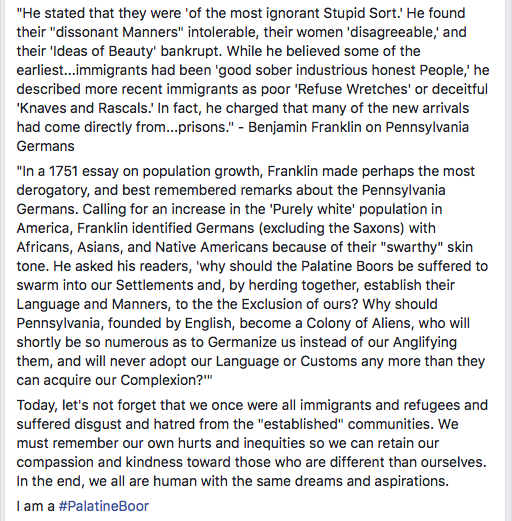 In that spirit, we proudly adopt the hashtag of #PalatineBoor and its Deitsch equivalent, #PelsicherRauhbautz* as recognition that we are the descendants of the people whom Franklin eschewed. May we be more generous to later arrivals than he was to our ancestors. * The Deitsch cognate of the English word "boor" is "Bauer" and is also cognate with the Dutch and Afrikaans word, "Boer." However, in regular Deitsch usage, the word "Bauer" has come to mean simply "farmer" without a semantic of class that would render it as "peasant." A "Rauhbautz" carries the semantic meaning of "boor" that reflects the unrefined aspect that people who would use a word like "boor" would intend. Quite literally, a "Rauhbautz" is an "unrefined (raw) bugaboo." As is the case with many Deitsch folks, my family, particularly on the maternal side, took part in the Battle of Gettysburg. We have some rich family lore associated with the battle and with the Civil War in general. I am still researching some of the information for accuracy. 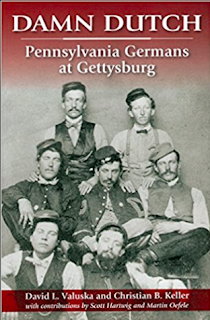 Folks may be interested in the book, Damn Dutch: Pennsylvania Germans at Gettysburg by David L. Valuska and Christian B. Keller. It's a great read, and I think people will find it to be very interesting and educational. Books like these provide fantastic insights and understandings into what make us a unique ethnic group and culture, which still in many areas remains starkly different from the wider American society. Hail to those who gave their lives to protect our liberty and to extend that liberty to all Americans! The autumn equinox and surrounding days served as the time of the original Deitsch (and German, for that matter) Thanksgiving. We Urglaawer observe the equinox and celebrate the harvest as a community as close to the equinox as possible. The Schwenkfelders observe the thanksgiving on September 24, other localities hold it on different days, also often based on the equinox. In Heathen times, communities pitched in to help to finish harvests, to trade different crops, and to tend to kin and neighbor so that everyone had a variety of foods to store for the winter. This is the root of the Harvest Home tradition, which continues in many churches today. The establishment of a national Thanksgiving holiday was actually met with some resistance in Deitsch communities because we already had a thanksgiving observance that was placed at the time of the completion of the harvest. The end of November seemed to be an odd time to many people. The traditional harvests were well over by then, it was typically very cold, and, prior to the rise of modern transportation and grocery, people would be more likely conserving their food stores, outside of game, to ensure a supply to carry them through if Spring came late. The Harvest Home church traditions nowadays take place all throughout September, but they are a legacy of the thanksgiving festival. Urglaawe groups hold thanksgiving festivals as close to the equinox as possible. 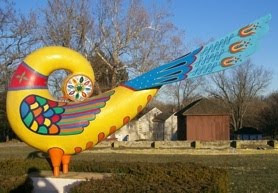 All of these observances focus on spreading the wealth of the harvest around, most typically in the form of canned food donations to food shelters. Over time, the national holiday in November has meshed well with traditional Pennsylvania Dutch foods and has become part of our lives. However, it is good to keep our cultural traditions alive, too. Most of us who were born after World War II are so accustomed to supermarkets having everything we could want all throughout the year that it is difficult to fathom the reliance on root cellars, springhouses, and cooperative efforts among neighbors. Jump back a few generations, when most food was grown locally, and it becomes easier to see why there would be a formal expression of gratitude for a successful harvest. We can capture a bit of the experience of our forebears by appreciating events like the end of the harvest. Besides, it never hurts to have another day where we are a little more deliberate in our gratitude for the food that nourishes us. So, sometime this week, you may want to incorporate an extra expression of gratitude in the religious or philosophical context that resonates with you to the plants and the animals that feed us, to the farmers who produce the food, and to the transportation and outlets that make it available to us. Let's make Erntfescht/Erntdankfescht a thing again in our communities!